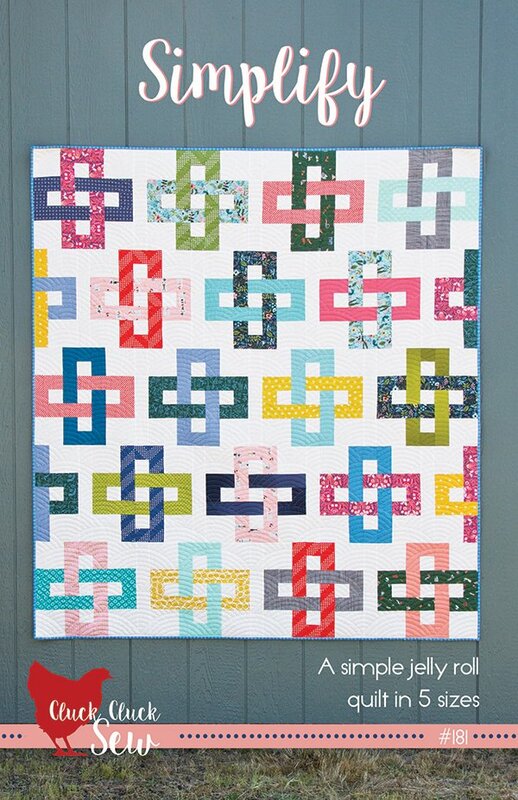 Simplify Quilt Pattern by Cluck Cluck Sew CCS-181. A simple jelly roll quilt in 5 sizes from crib to King. 14" blocks.